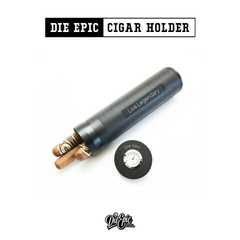 Die Epic is more than a brand, it's an ethos. This should be the about you page, not about us. What goals do you want to hit? Whats your best Living Legendary story? You run this company, picking everything from the products we sell to the charities we support. This is a movement of epic people crushing goals, empowering others, helping charities and getting out of their comfort zones. Many of our products offer a place to write a goal down as you are more likely to crush it if you handwrite it and see it frequently. As a true grassroots moment, you write this story one #DieEpic pic at a time. We are all about giving back especially to our favorite charities! Our epic 1st Year Party and Community Bash was legendary AND we were able to help out The Woody Foundation. Check out the video here. No paid models. Real people are real epic. 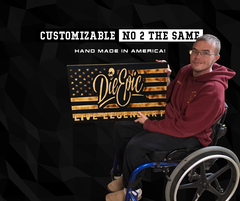 Instead of paid posers, we want you to send us images we can use on our social page, use #DieEpic to get reposted. Empower > Idolize. Don't sit home idolizing anyone, come learn and join then surpass us. Love it or leave it. Honest reviews. Underdogs Rule. This is a brand for the no names on their beautiful struggle to demolishing their personal goals. Whether that is getting athletic sponsored or building their entrepreneur empire. Give Back. If we take more than we give to the extreme sport and startup community its time to close our doors. Apps, knowledge, interviews, how-to's, charity drives, etc. If we don't use it personally. Its not on our site. Period. We are located in South Florida (Miami Beach, 33139) which lies in the Eastern Time Zone. Our shirts are shipped and hand printed with epic amounts of love in Hialeah Florida. Drop us a line with any feedback, future product ideas, or questions.